I’m not gonna lie, I don’t spend a ton of time cleaning my home every day. Because honestly, I just don’t have time. Really, who does? But despite that, my home stays relatively spotless. And I’m not just saying that or trying to brag. 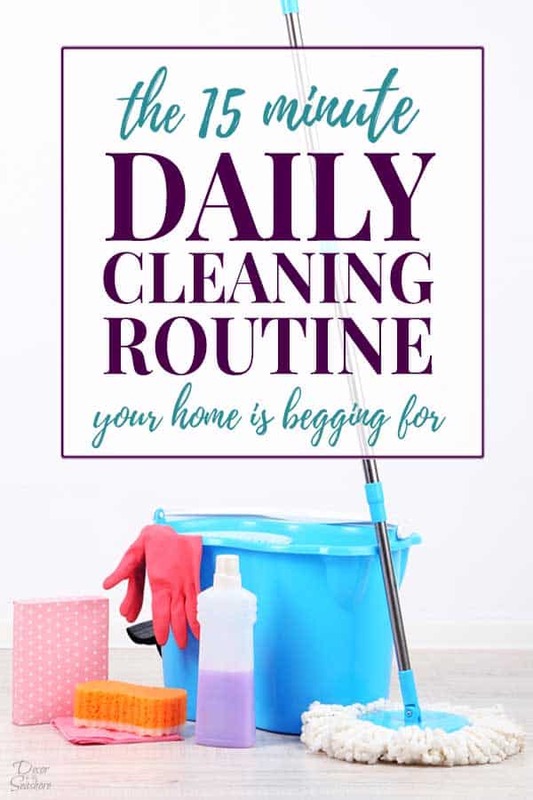 I’m honestly telling you that you can follow the same daily cleaning routine I do and have a nice, clean home with very little effort on your part. It’s actually estimated that decluttering your home can reduce the housework up to 40%! It’s INSANE the amount of time we waste on clutter! So if you’re looking for decluttering motivation, THERE IT IS! That said, there are 3 things I do every day without fail to keep my home clean. I call them “the Daily 3.” These 3 things are easy, they don’t take more than 10-15 minutes, and they make a big impact on my home. My home stays nice and clean just from doing these things every day. So I’m going to tell you my 3 things and then show you exactly how to implement this method in your own home. 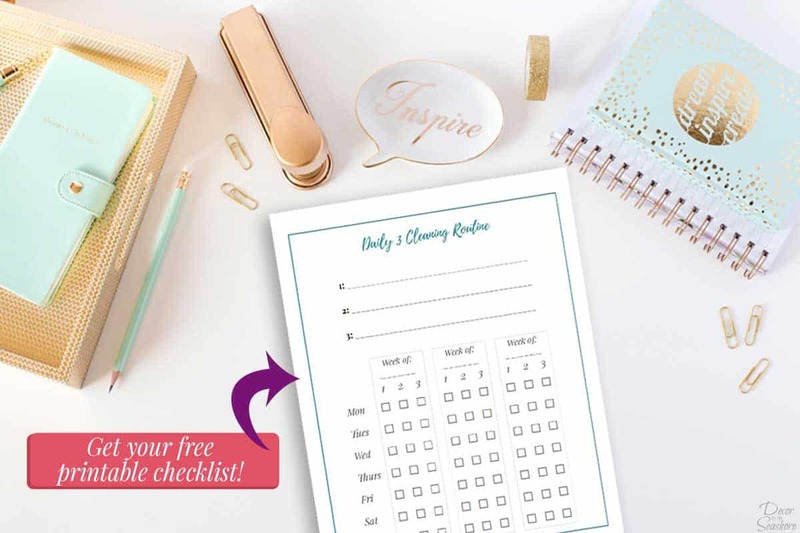 I also created a free printable checklist you can download to keep track of your progress. I highly recommend printing it out and posting it in a place where you’ll see it on a regular basis (like your refrigerator). It will help keep you on track, and it’s perfect for charting your progress. You can download the free daily cleaning checklist below! We have hardwood floors and two furry dogs, so the fur balls just FLY through the house like tumbleweeds. Added to that is the mess from the humans living here, so you can imagine that our floors desperately need vacuumed daily. This is the robot vacuum I use. I got a great deal on him, and honestly would have paid more. The amount of work he takes off my plate is SO SO worth it! My floors are nice and clean every day and I don’t have to do a thing. If you don’t have a robot vacuum in your home, I highly suggest checking them out. They are beyond worth their weight in gold! I honestly can’t think of a better investment when it comes to simplifying your cleaning. I generally try to clean the kitchen after every meal so that dishes don’t pile up. It takes less time to clean if I keep up with it throughout the day, rather than having an entire day’s worth of dishes to clean up at the end of the day. Because let’s face it, who wants to spend an hour cleaning the kitchen after dinner? If you’re dealing with a lot of extra dishes and clutter in the kitchen, my free e-mail course can help you declutter your kitchen in one week. 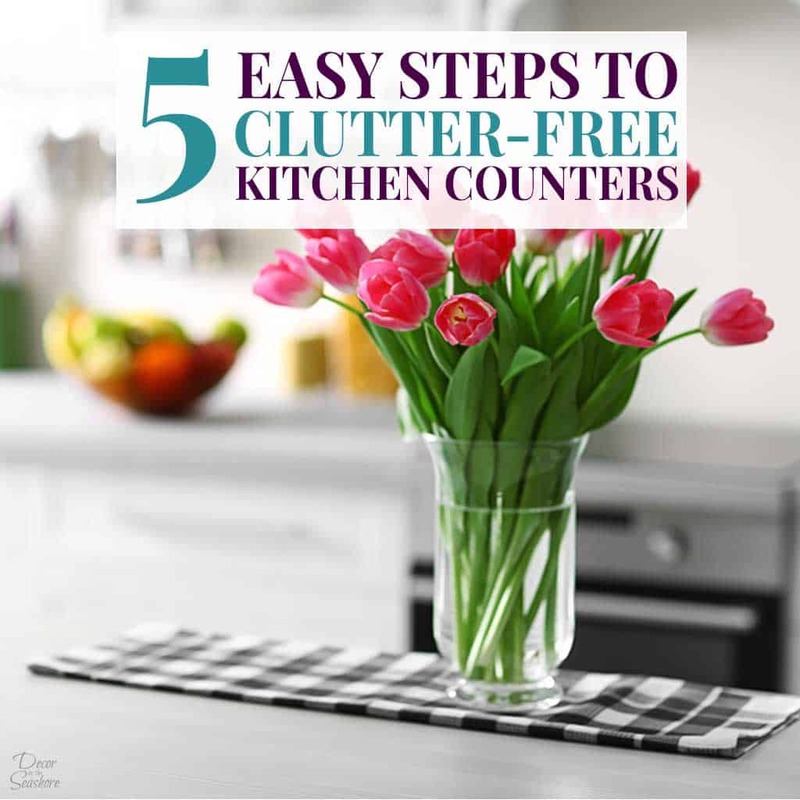 Sign up below for a daily e-mail that will help you declutter your entire kitchen in one week! I try to keep my home as decluttered as possible, so for the most part I don’t have to deal with piles of clutter or random things sitting around. At the end of the day, there might be a few things lying around that we used throughout the day (coats, shoes, books, toys, electronics, etc). So I take a few minutes to put everything away where it belongs. Creating a place where everything belongs is an essential habit for a clutter-free home. 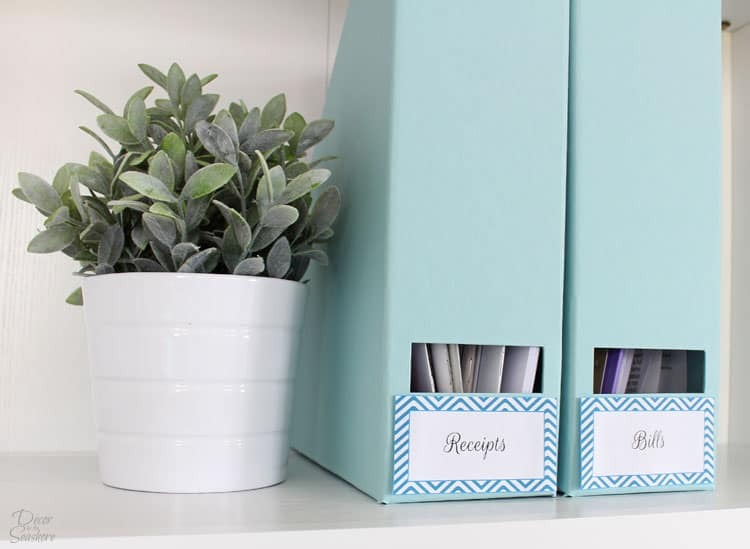 This significantly helps eliminate clutter piles and things ending up in random places. It’s also much easier to find what you’re looking for when it’s put away where it belongs. Seriously, I can’t begin to tell you how much of an impact decluttering has on your home. 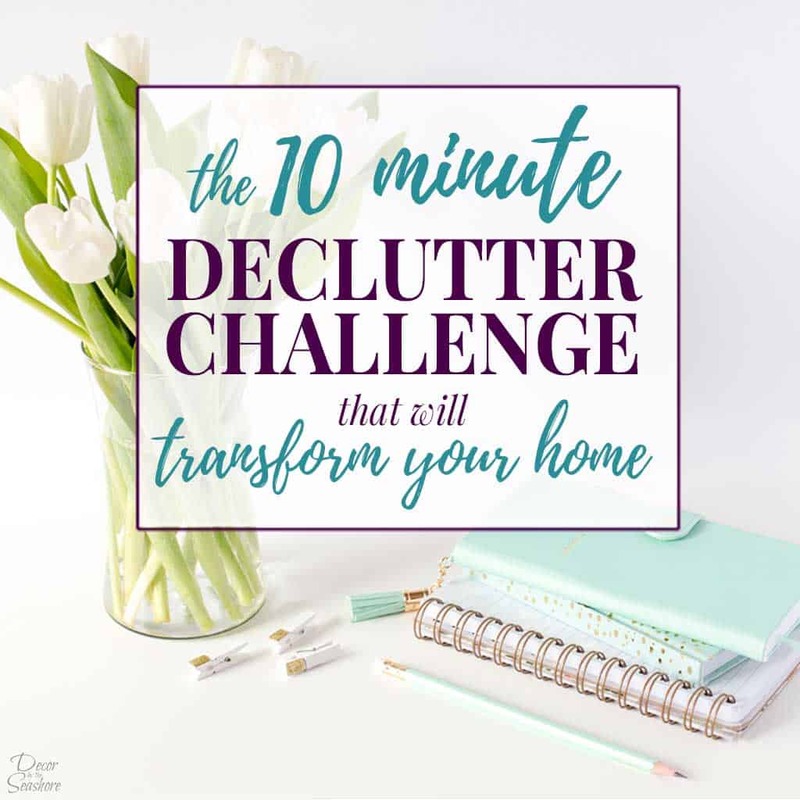 Even if you only have 10 minutes a day to declutter, it will make a world of a difference! The nice things about this daily cleaning schedule is it is really easy to implement, and if for some reason one day we veer off course (illness, not enough time, etc.) the house is still in good condition and looks clean the next day. We can pick back up where we left off very easily. What really bugs me in my home if it’s not cleaned daily? What in my home gets messy really fast? 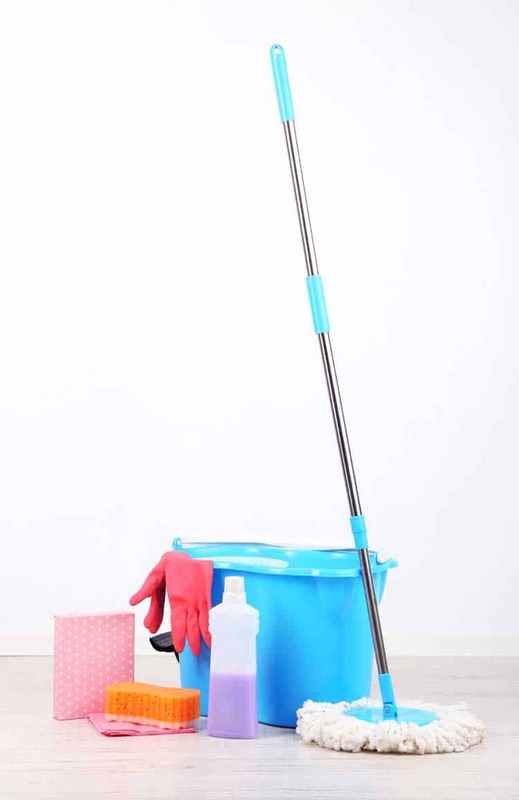 What small cleaning task can I do that will only take 5-10 minutes a day but will make a BIG difference in my home? What am I already doing on a daily basis that helps keep my home clean? Here are some ideas of Daily 3 tasks. Pick the 3 that are the most important to you and easiest for you to complete every day. Once you’ve picked your Daily 3, download and print out the free daily cleaning checklist below. This checklist is an essential part of starting the routine and getting into the habit of doing these 3 things every day. Put the checklist in a place you’ll see it often (like your refrigerator) to motivate and remind yourself. Then make sure you get those 3 cleaning tasks done every day. Do them whenever works best for your schedule. If you’re really motivated in the morning, you can do them then. If you only have 5-10 minutes here and there throughout the day, use that time to complete your Daily 3. Or finish everything before you go to bed. It’s up to you! 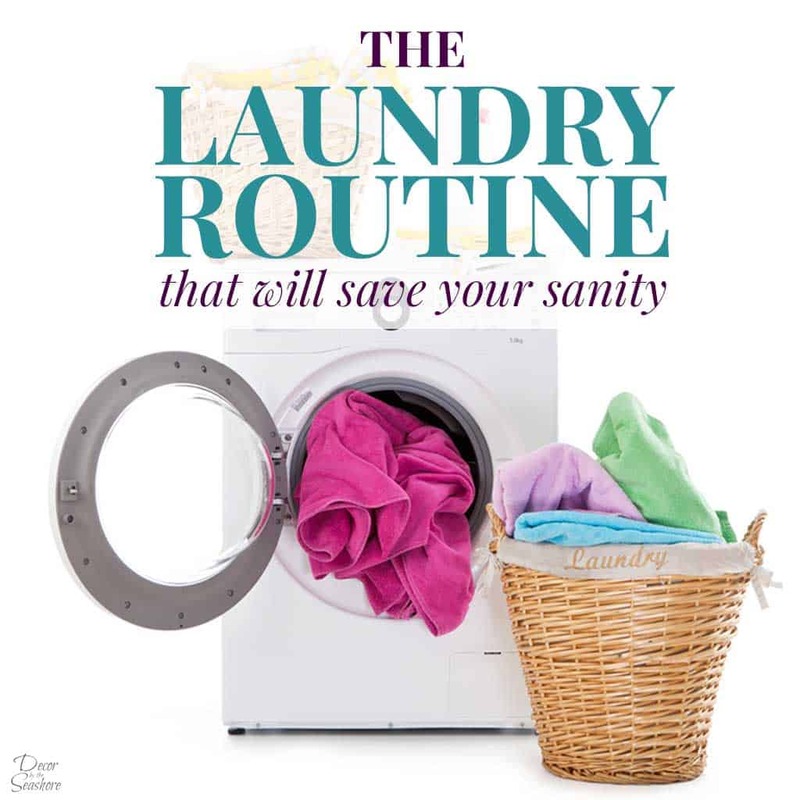 I will definitely say that this routine is pretty easy to keep in place because we have a decluttered home. I do minimal cleaning and achieve maximum results because I’m not dealing with clutter every day! So if you haven’t yet, you NEED to declutter your home! Trust me when I say it will make your life SO much easier! 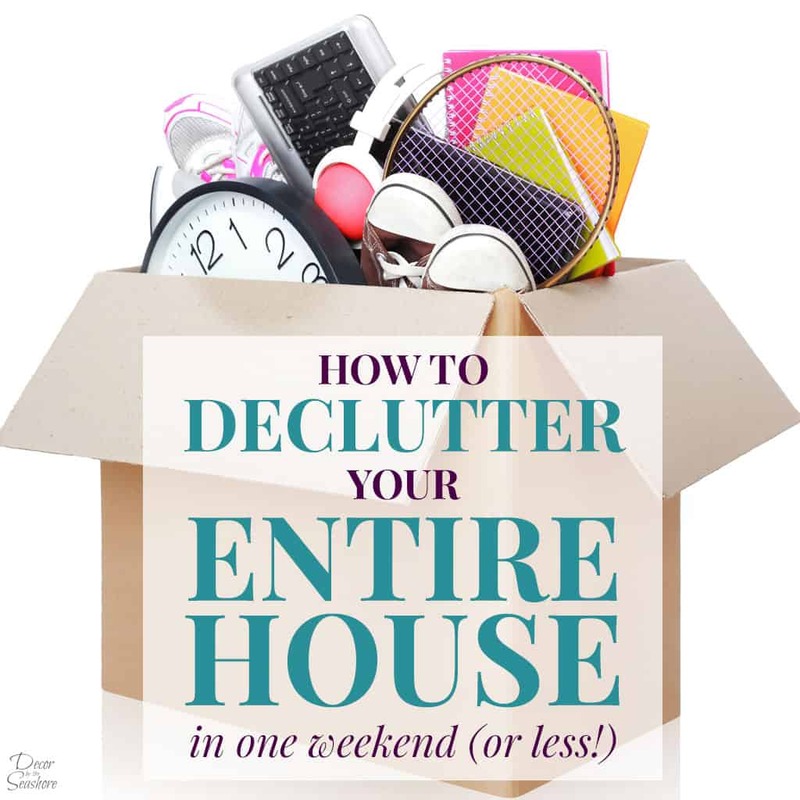 You can declutter your entire home in one weekend, or if you don’t have an entire weekend to spare, even 10 minutes of decluttering every day can add up! Running a home is stressful, but it doesn’t have to be that way! 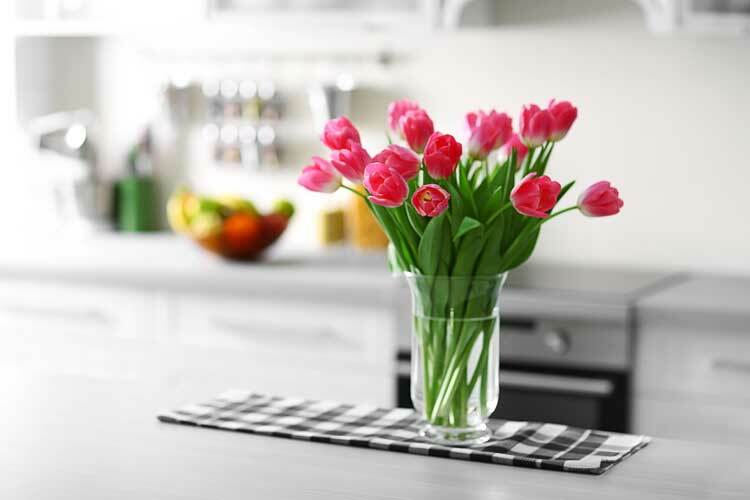 I want to help you simplify your home so you can spend more time doing the things you love. The Daily 3 is a quick cleaning routine that will make running a home easier! If you enjoyed this post, check out the links below for more ways to simplify your home.